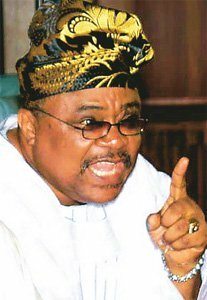 Former Governor of Oyo State and Governorship candidate for Alliance for Democracy Party, Otunba Alao Akala has vouched to get the jointly owned Ladoke Akintola University of Technology (LAUTECH) back to Oyo State and pay the recently approved minimum wage for workers when he resumes office. Recall that a crisis of ownership of the varsity between the two states-Oyo and Osun-had evolved and grown wild during the tenures of Olagunsoye Oyinlola and Otunba Alao Akala in 2010 when the then Governor, Akala, signed a gazette- marked 09 and Vol.36- for sole ownership of the varsity. In a Vanguard report dated October 7, 2016, section 26 of the amended law states that “rules, convention or practice in existence in respect of the joint ownership of the university is hereby revoked and shall cease to have validity or force of law with effect from December 31, 2010. The former Governor also promised to enforce the payment of the recently approved 30,000 naira minimum wage for Oyo workers. “We will ensure we pay the 30,000 naira minimum wage approved by the Nigerian Senate, so that our workers live in relief,” he pledged.